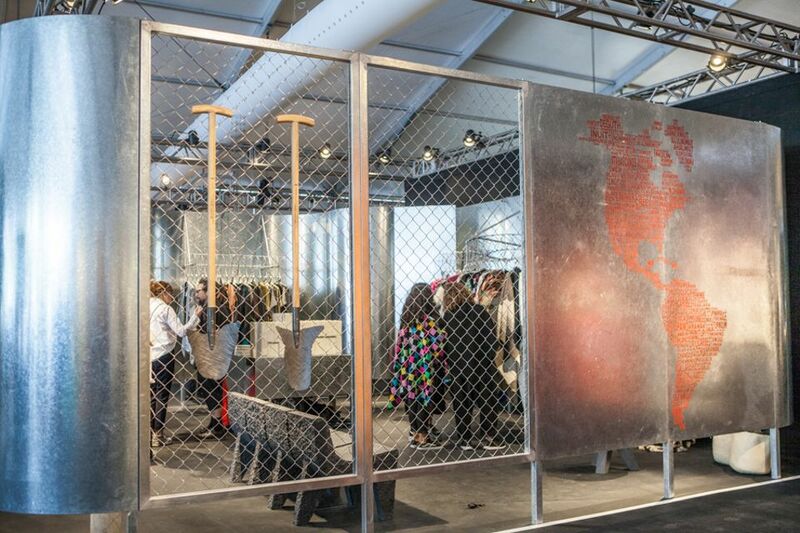 The artist Pedro Reyes and the fashion designer Carla Fernández are the winners of the 14th edition of the Design Miami Visionary Award, an annual prize established in collaboration with the Savannah College of Art and Design (Scad) to honour creatives making significant contributions to the design world. 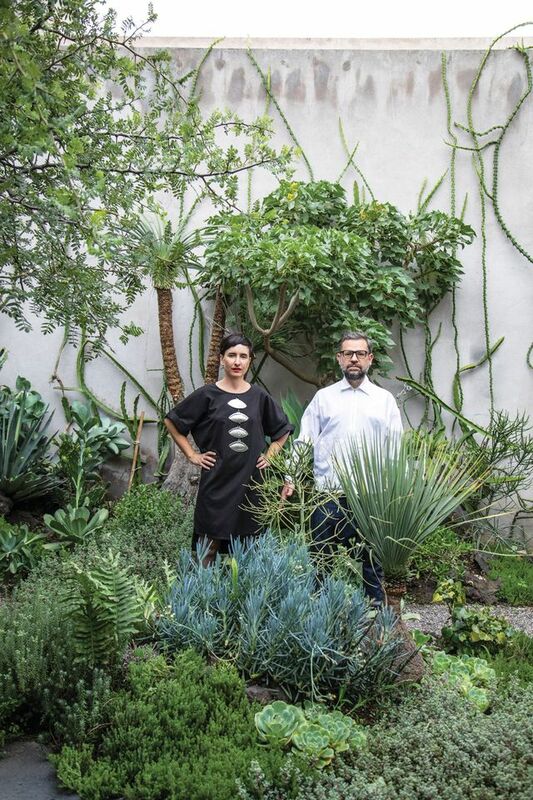 The artists—and husband and wife team—were recognised for their “always brilliantly synthesised spectrum of influences, from Brutalism to Mexican indigenous culture to progressive values”, says Craig Robins, the founder of Design Miami. Two large-scale installations designed by Reyes and Fernández are being shown at Design Miami (until 9 December) along with works from the past decade. These works contrast hands-on design traditions with concerns around automation and our tech-obsessed zeitgeist, and also address current socio-political issues. On 5 December, Rodman Primack, the fair’s chief creative officer, moderated a talk with the artists on the importance of “coming together to make art, architecture, design and fashion that is rooted in social consciousness and justice, and that keeps craft alive and vibrant”, Reyes says. Scad is slated to open an exhibition of the artists’ works next February. The Art Newspaper: Your work deals with cultural heritage, artisanal traditions and social justice. What can visitors expect to see in the Design Miami exhibition? Carla Fernández: It’s a full retrospective of our works. In the booth, there are some of my contemporary designs that were made in collaboration with indigenous female artisans across Mexico who specialise in handmade textiles and utilise centuries-old techniques. The textiles are woven to be treasured and we create few of them, doing so slowly. We say: death to planned obsolescence. We understand that artisans need time to think, learn, transform and transcend. It is not only a romantic idea, but also a way to ensure that people who choose these professions will be safe from the destructive waves that automation is bringing to society. Pedro Reyes: The exhibition also has various stone carvings I’ve done over the past five years. That tradition goes back 3,000 years in Mexico. At a time when a lot of designers are going for 3D printing or computer-controlled machining, I’m more interested in revealing the natural properties of different stones. There are also shovels from the Palas por Pistolas (Guns for Shovels) project, an ongoing work that began in 2007 in Culiacán, Mexico. The shovels were made from crushed guns donated by residents and then used to plant trees. I’m also showing works from the Disarm project, a series of instruments made from weapons. These are both forms of upcycling that can turn an instrument of death into instruments of life. Instead of creating fear, these objects can create trust. Travelling across Mexico, Carla and I became aware that there was no need for us to import sources of inspiration because we have so much to unearth from our past. The furniture I’m designing is based on Pre-Columbian artefacts. My metate chair has three legs, a constant feature in metates [hand-mill stones], molcajetes [mortar and pestles] and most Pre-Columbian pottery because an object with three legs always sits firmly on the ground. This tripod shape was considered a design error, so I’m interested in tackling this principle with a modern language. There’s an elegant yet bold simplicity to these types of tools that haven’t changed much in thousands of years. What messages do you hope visitors take away? Fernández: For us, it’s important to show that the political borders we know today are only 200 years old in comparison to a continent that has been inhabited for 11,000 years. Our goal is to bring some perspective to a time where xenophobia and racism are increasing. Looking ahead, we are going to have increasing migration. On the other hand, we also want to show that many of these indigenous cultures continue to exist, and that, in contrast to these original settlers, we are all immigrants. 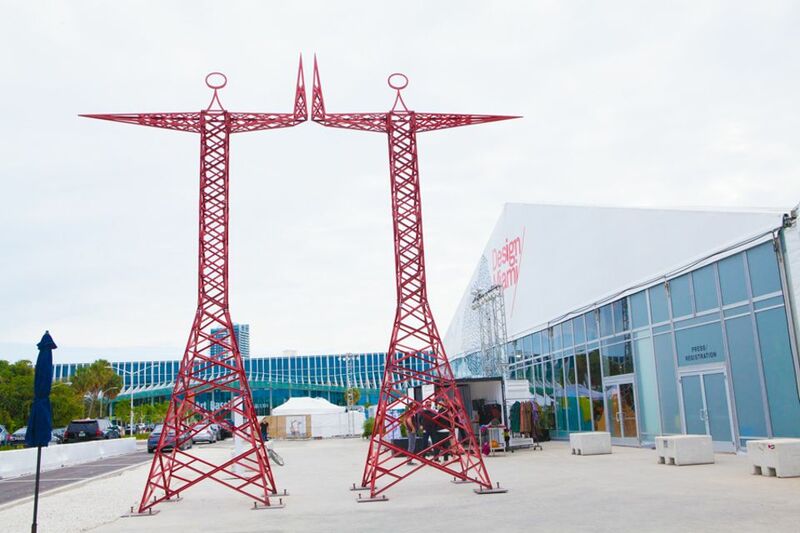 Art fairs are effective platforms to address social issues because they welcome many spectators with different backgrounds from all over the world. We think that part of the importance of art nowadays is to bring about social change and not only the selling of it. You’ve designed a special project for the plaza at the fair. What inspired this work? Fernández: Our presentation addresses one of the most important issues of our time: migration. There are two different installations, one of them showing two large-scale effigies carrying different tools, representing the many trades done by immigrants in the US. The work becomes a sort of monument to honour and acknowledge the energy that immigrants bring into each profession, and to show their diversity and richness. The second one, presented within a container, revisits the subject of migration from a political standpoint. We are living through a humanitarian crisis, where immigrants from Latin America are persecuted and families are being separated and abused on grounds of their ethnicity. This persecution has brought us indelible images of detention centres where children as young as four-years-old are being held and separated from their families. We believe that it’s our duty to present such images so that these acts of racism don’t go unnoticed. We want to open a conversation about the ongoing humanitarian crisis of migrants in the US, as it is our firm belief that the art world can’t be oblivious to the world in which we live. You’re also designing the graphic identity of the fair, which is based on protest posters. Reyes: For several years, we have been collecting protest posters from Mexico, Latin America and Europe. These obviously have a sense of urgency. The inspiration comes from the bold graphics of the handmade protest signs, posters and ephemera from the 1968 uprisings in Mexico, Paris, Prague and Berkeley. Fifty years ago, there was a revolution that signalled a social and cultural turning point worldwide and inspired artists to also get political.